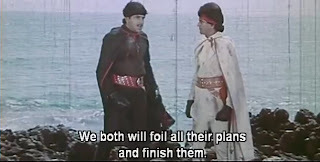 Jaani Dost, released in 1983, is a multi-starrer campy masala flick that was considered a box office hit. The lead pairs were Sridevi & Jeetendra and Dharmendra & Parveen Babi. This was one in a series of South Indian films re-created in Hindi by Director K. Raghavendra Rao. As much as today's bloggers criticize this film for being over-the-top, poorly edited and lacking in storyline, it remains today one of my absolute FAVORITE movies from my childhood. We had the record (LP) of Jaani Dost that had one of those sleeves that folds open to show more images, and ours had pictures of the two couples on the inside - the Parveen-Dharmendra one was from the "Beauty Queen" song and had Parveen in a pink glittery salwar, while the Sridevi-Jeetendra one was from "Baaghon Ki Tu Rani" and had Sridevi wearing a buttery yellow frock with matching hair ribbons and her hair in pin curls. I used to sit and stare at those pictures and wish with all my little 6-year-old heart that I had that dress and ribbons. This was the image, wish I could find a better copy. I didn't recall the outfits on Dharam and Jeetu. Perhaps I blocked it out. My sister and I also used to put on the record and dance around our living room to each of the songs - we'd play this game in which we'd each be one of the heroines (she was Parveen, I was Sridevi) and act out the songs with our invisible heroes. We cleverly dubbed this game "Nothing" - that way when our grandfather asked us what we were playing, we could honestly tell him "Nothing." "Nothing" wasn't limited to Jaani Dost - we also played it with the LPs of Satte Pe Satta (she was Aradhana and I was Rajini), Burning Train (she was Parveen, I was Hema), Shaan (she was Parveen, I was Bindiya), Parvarish (she was Neetu & I was Shabbu) and Mahaan (she was Parveen, I was Zeenat). We drew our limits at movies like Tohfa, because really, who wants to be Jaya Prada?. 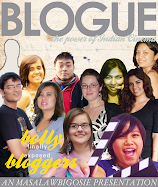 We even used our own made-up Hindi gibberish, with real words thrown in here and there. So anyway, back to Jaani Dost. The film opens with a quick backstory, mostly in still shots, of a wealthy guy who receives a threat (via his manager, the evil Cobraji) that his wealth is going to be seized and confiscated by the government, so he runs with his little son, leaving his pregnant wife behind. He's attacked and killed on a train, and his young son is thrown off the train. Luckily the kid lands in a pile of hay and is picked up by a local village lady. Unfortunately, his foster dad isn't so nice and ends up throwing him out of the house later. The neighbor's kid is also thrown out by his stepmother and the two kids meet and decide to run away together to the big city. Incidentally, the younger kid (the rich guy's son) is ADORABLE but has the most annoying girl's voice dubbed for him. Once there, they decide that one of them will work and earn money, and the other will attend school. 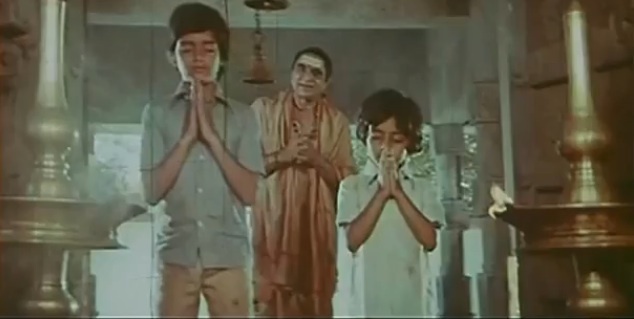 They argue a bit over which one will do what, and then the older kid (Raju) decides they will leave it to God. 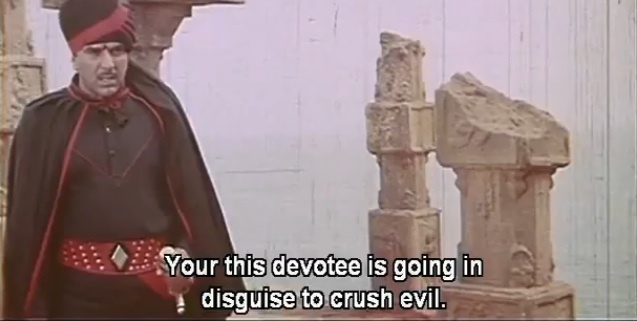 They stand before a Shivalingam statue, each in front of a separate lamp, and Raju says they should close their eyes and pray, and whoever's lamp goes out first will be the one to work, the other will attend school. The younger kid (Veeru) agrees. The temple priest sees the two children praying and stands there with a generally benign interest in the proceedings. As he watches, Raju peeks to check that Veeru has his eyes closed, and then blows out his lamp. He then tells Veeru that God has decided that he should work, and Veeru should attend school. We are then treated to a credits montage showing Veeru attending school and Raju doing menial labor, shining shoes, washing cars, etc. And guess who did the "Thrills"? His finest work in my opinion! From the credits we are immediately thrown into a "Bachaao" scene! How can anyone not love this? Parveen Babi is being chased by some goondas and luckily she is saved by Kick-A$$ Raju, who has grown up to be Dharmendra. He is a scruffy, tough, wise-cracking lorry-driver ... who just happens to have named his truck Sholay! 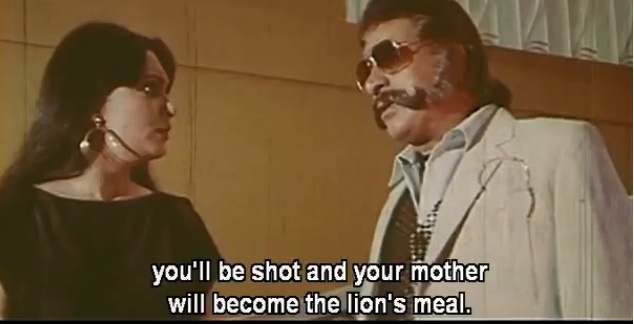 He beats up all the goondas and saves Parveen, aka Meena - who insists on taking care of repairing his truck after the fight. She also wants to intro him to her Mother, because obviously she was smitten by his adorable teddybearness. We are then briefly re-introduced to the EVIL EVIL villain Cobraji, played by Kader Khan. He hangs out in his AWESOME villain's lair. He has a throne y'all. With a giant golden cobra head and revolving bookcase passageways and a big old revolving bar. 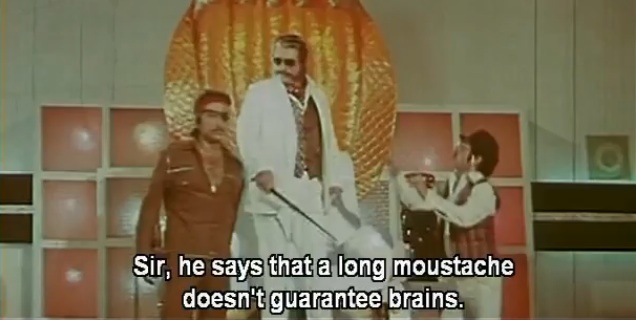 He also has a bumbling assistant, played by Asrani, and a son who appears to be a Pirate (Shakti Kapoor with an eyepatch). 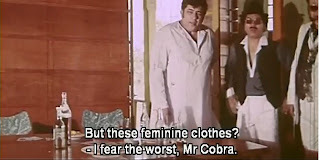 Occupying his own suite in this fabulous lair is Cobraji's brother Hari, played by Amjad Khan. 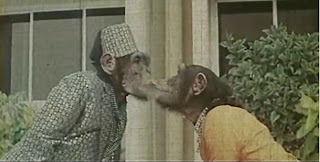 I suppose the writers had so many ideas for the brother character that they couldn't narrow it down, and so the resulting character has a multiple personality disorder and consequently dons the costume and accent of a Catholic Priest (Father Harry), a Classical Dance Master (Bicchumaharaj), A Nawab in a Fez (Kutubdin Hari Mohammad Ali), a Pathan, Safari Man (Thakur Ranbir Ranbir Ranjit Hari Singh), a beggar (Haribhai Bhikarilal Fakirchand) and a French Soldier (Harry, King of Good Hearts Napoleon Bonaparte?!). The awesome part is that he claims he picked up these tendencies in America, where Cobra sent him to learn the world's best smuggling ways! 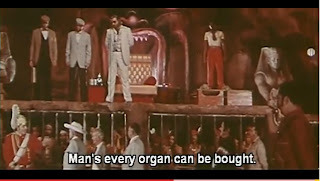 CLICK HERE to see the song "Jawani Jawani Jalthi Jawani"
Silukku hooks Veeru up with the Cobra Brothers to do some crimey things. Veeru then goes home to visit Raju, in a police officer's uniform!!! He tells Raju that he's been given a top-secret post known as "ABCD" which infuriated Bollywood Deewana, but still made me giggle after all these years! 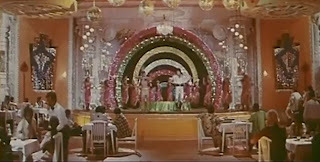 Meena almost calls Veeru out on the ABCD thing, but Raju distracts her with a FABULOUS dream song sequence that my sisters and I always wanted to be in the background for the crowning of Miss India USA. 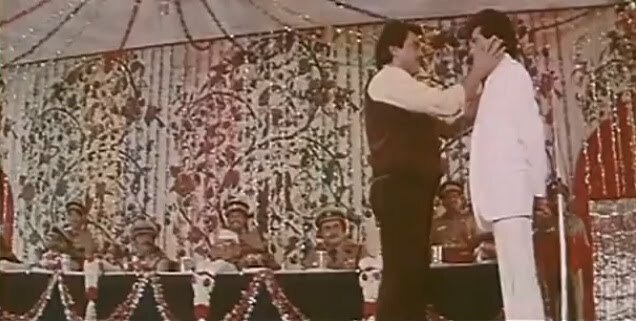 CLICK HERE to see "Aayi Aayi Mein To Aayi (Beauty Queen)"
Curiously, watching this today makes me wonder if this movie was actually made for 6 year olds. She dancing in amazing sequins outfits and fairy-like flower headresses with a bunch of bouncy balls all over the place. No wonder I loved this as a child!!! Her final outfit appears to be a red sequins body stocking with attached boots. She looks like a superhero. I'm enthralled. 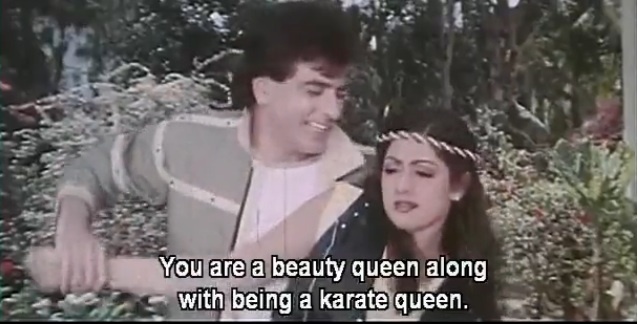 Enter Sridevi as "Karate Rani Shalu"! She is a kick-a$$ karate instructor and a superhero for her friends, as evidenced by her friend calling her from a phone booth because some goonda is chasing her. 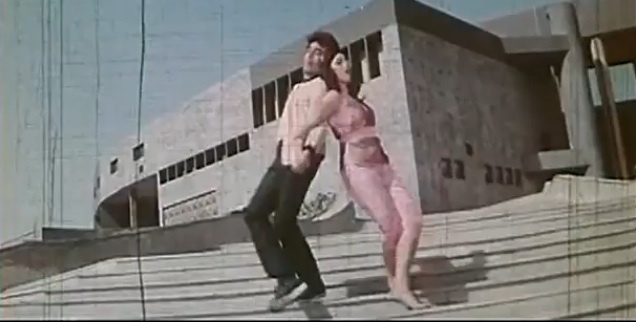 Before Shalu arrives, Veeru saves her friend from the goonda and the friend faints. Shalu finds Veeru hovering over her friend and beats him up, thinking he is the goonda. Her friend eventually comes to and tells her the truth. 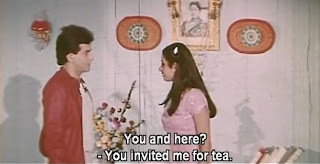 Shalu invites Veeru over to her place for tea to make up for mistaking him, and when he arrives there she is wearing a pink frilly frock I think I wore for my 1st grade school photo, and telling her dead mother's portrait how she will avenge her death and find the con-artist that drove her to suicide. He tells her that he will help her in her quest, and she's all "How the hell did you get in my house you freak?" but then accepts his help. Either she was drunk or she didn't expect you to come over an hour later! 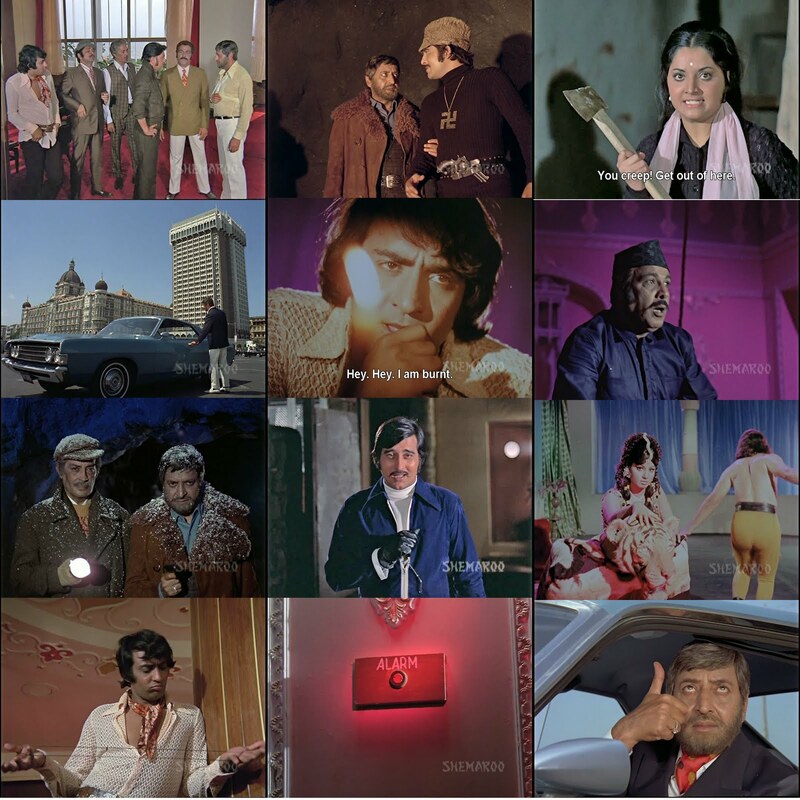 Veeru does a diamond-stealing job for Hari and gets drunk with Shalu, which leads them to compare each other to Kamal Hassan, Amitabh, Zeenat and Rekha! I have to also mention my favorite part in this song, where the Ganesha idol gets up from the altar and starts chasing them around a track! 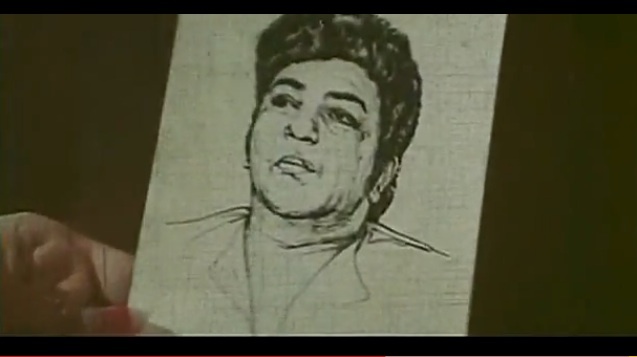 CLICK HERE to see "Hum Nahin Ghumte Hai"
Raju beats up some dude for implying that Veeru is a thief. Then there's one of my favorite fight scenes of all time, where Raju dances atop some white goondas sent by Cobraji to tabla music while the others sit on a bench and discuss Meena and Raju's relationship, in between cheering on Raju. They switch off and Veeru beats up the dudes for a while while Meena tries to talk about where things are going with Raju. Eventually Shalu decides she & Meena are going to show them what Girl Power is all about. Shalu has no problem beating up her goonda - she does so with great style, but Meena requires a little coaching from Raju. Make no mistake though, Meena is no fragile damsel in distress (at least not yet). After the goondas are dispatched, they go to discuss Meena's marriage with Cobraji who is still retained by Meena's mother as a Manager. Meena reminds him of his place and says her marriage will happen as she wants it and no one had better try and stop her! So Veeru is working on his next big heist when Raju catches wind of his activities and jumps into his trusty lorry Sholay to go investigate. 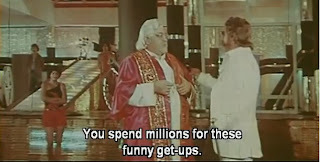 Veeru is in the midst of a pretty wild celebration of his heist. Dancing w/ the hoes on the revolving bar of doom! And chilling in the godfather chair at the top of the light-up disco slide! 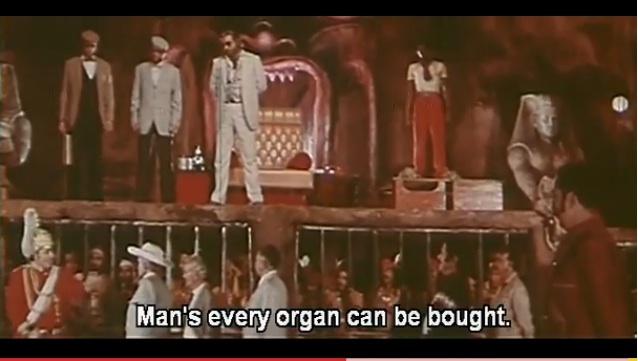 Unfortunately this fabulous villains lair (which deserves to be on Beth Loves Bollywood's villain's lairs list!) is not very secure, because Raju drives his lorry straight in through the wall! He is angry and disappointed to see Veeru in this setting, and they begin fighting. 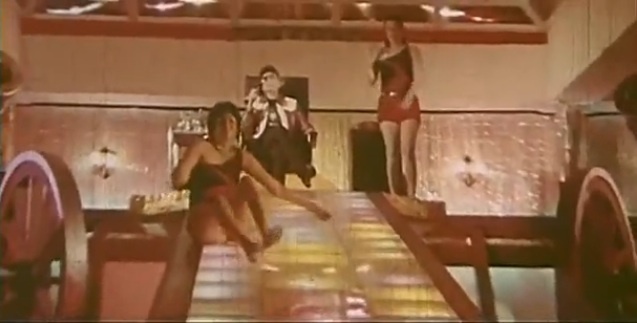 Raju is dragged up the light-up disco slide (which has cannons at its base, in case you were wondering) in chains by the goondas, and eventually knocked out by Veeru. Raju later visits the temple of their brotherly love and angsts at God for breaking his trust and his heart. 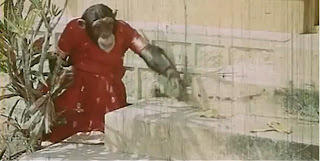 Veeru also visits the temple and wallows in self-hatred at his own hand for striking his beloved Raju. These two need to make out and get it overwith. He arranged the entire smugglers convention to arrest them all, because he is really an undercover cop! Wonder of wonders! Raju finds out the news and reunites happily with Veeru. Ok, I kind of teared up a little there. Dharam is SO CUTE as Raju. Veeru wins some sort of Cool Police Guy award, and he dedicates it to Raju. Everyone loves everyone! But it's not over yet folks. Cobraji has a new lair in the jungle and new plans! Now he has decided to expand beyond diamond, animal and sandalwood smuggling -- human trafficking is the new frontier! He's decided to capture and export tribal people for slavery or organ trafficking. Look at the new lair! Built-in cages and a big demon face thingy in the background! 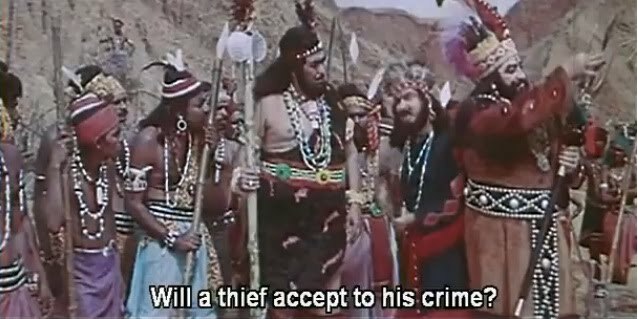 He also decides to go ahead and throw Meena's mother in the dungeon with the tigers and lions so he can coerce Meena into marrying someone of his choosing, though this all seems moot because he eventually plots for the newlyweds to crash off the side of a mountain! It looks exactly like all the pictures IN costume. Great work, Veeru. Shalu sees the rendering and exclaims that this is the very man who cheated her mother! It's Shalu's father - but they never quite touch on that. They set off to find Hari but are attacked by the evil henchman and flee, reaching the jungle. Now we start getting REALLY crazy, and I am completely convinced that my 6-year-old self was the target audience for this movie. Shakti the Pirate Kapoor acquires a chimpanzee named Johnny, who wears Hari's fez and has birthday parties thrown for him in the new lair. Shalu and Veeru meet a girl chimp in the jungle and sing the song "Baaghon Ki Tu Rani" in which Sridevi wears the yellow frock and ribbons!!! Punky Brewster, eat your heart out. Raju has gone vigilante and adopted a cape with a lion's face on it. His new disguise! Hari is contagious! Could Raju's love still be alive somewhere in the jungle??? What do you think? CLICK HERE to view the song "Jeevan Bana Jeevan"
I couldn't possibly summarize the rest of this movie even if I wanted to, and I definitely SHOULDN'T being that it's now 3 am. But suffice to say that the climax of the film may or may not involve lots and lots of costumes!!! Me too, Asrani, me too. Ah yes, there are lots of tribal costumes for all, plus our two heroes as caped crusaders! 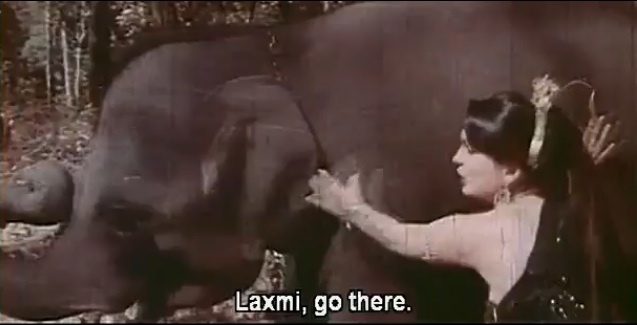 And in the great tradition of Hindi films in which the animal saves the day, we have crime-fighting chimps and an elephant named Laxmi! Rani the chimp dons a costume to entice the bad guy chimp! And what on earth could the Cobra Circus have to do with anything? Besides the fact that we ALL know that once a villain has captured the heroine, he has no choice but to make her wear a costume and dance sexily. Haven't you read my villain's lair dance post? I can promise you one thing though. There is at least one happily married couple by the end of this movie! What you don't believe me??? You need to see Jaani Dost, in all its glory, with your own very eyes? No really! Click HERE to see the entire movie, with subtitles, thanks to Saavn! Don't believe what you read on the cynical blogs of others, my friends. If you have a solid tolerance, or as in my case, fondness for 80s cheese and could possibly get a thrill out of seeing a scene transition that just may have a big blue kablooey cloud zooming out, this movie is chock-full of those kind of surprises. It also has a fabulous villain's lair, some really funny moments (like the aforementioned fight scene), some pretty spunky heroines, many outfits for your inner 6-year-old and did I mention the COSTUMES??? This looks like a whole lot of crazy fun. 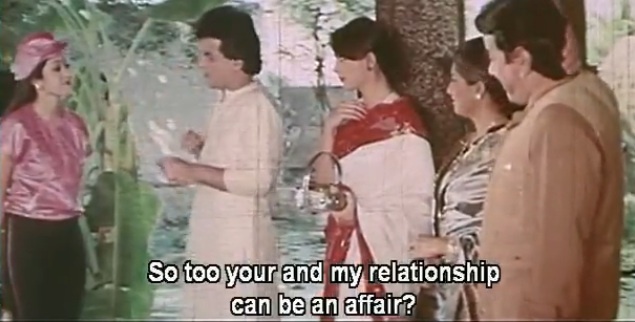 I really dislike 80s Dharam, but I think I'll give it a go. Daddy's Girl - I JUST discovered your blog and I can't believe I didn't find it earlier - it is WONDERFUL!!! I can't wait to go through every single post! 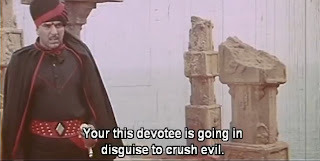 Also, I know a lot of fans of Dharam's early days don't like his late 80s look, but I really loved him in this movie - he is so sweet and good and honorable and still handsome, albeit a bit paunchy. And I think he does comedy SO well! I think this was the best Hindi movie ever. What a sincere mashup of heroism, animals, evil, dance, rotating bar and jungles plus Gods and beachballs. Not one possible element of Boltywoodism is missing. My second favorite movie in the world, next to Kill Bill vol.1 & 2. Of course followed by Clueless. Thanks for the funniest ever blog! !